The growth in job vacancies hit the fastest rate in 15 years in November, according to the latest survey from the body that represents recruitment firms. 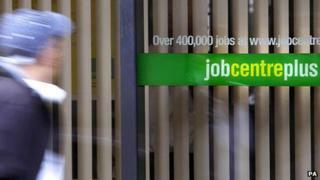 Its job vacancies index, which uses data from 400 recruitment firms, rose to the highest level since July 1998. The strongest demand was for engineers, followed by nursing staff and other medical and care workers. The report also showed that growth in salaries for permanent staff was the highest in six years. Bernard Brown, partner and head of business services at KPMG, one of the report's sponsors, said there has been a change in sentiment this year: "Six months ago - after almost five years of pain - most employers were wondering just how real the signs of recovery were. Media captionKate Shoesmith: Job market growth "across both public and private sectors"
"Business certainly seems to be more confident," he said. The report is produced by the research firm Markit and is also sponsored by the Recruitment and Employment Confederation. Although demand for staff is high, the availability of candidates to fill permanent and temporary posts fell in November, continuing a recent trend, the report showed. "It may be that people are still worried about job security but it is more likely that we are seeing a return of the traditional winter slowdown in recruitment as staff are more focused on Christmas than careers," said Mr Brown. A separate report on Monday showed that business confidence grew in October for the tenth consecutive month. The latest business trends report by accountants BDO also said that growth in the first half of next year is likely to be "robust". Peter Hemington, a partner at BDO, said that with economic recovery in place, the government should focus on other issues that concern business. "The UK clearly has some substantial long-term problems in terms of an underperforming education system and a dysfunctional planning regime. "Only time will tell whether the coalition government's radical plans for educational reform will work, but at least there is plenty of energy behind implementing these," he said.